In October 2018, Paul Weller performed 2 extraordinary must-see concerts at The Royal Festival Hall with an orchestra. The second of these shows was recorded / filmed and now sees the light of day. 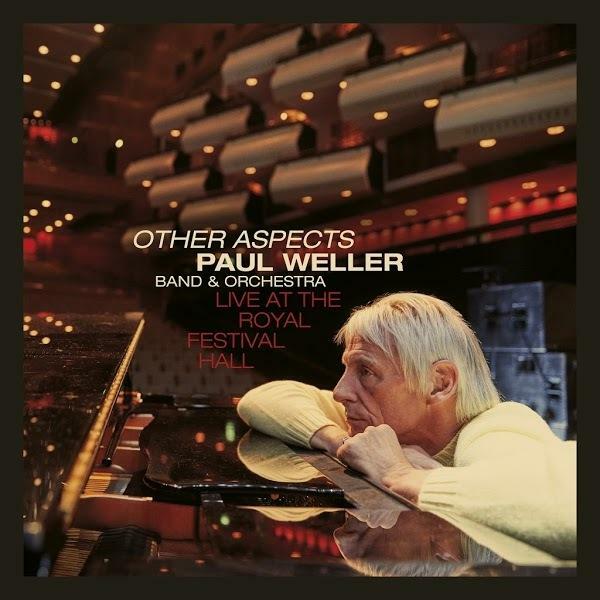 Other Aspects, Live at the Royal Festival Hall features an eclectic 25 track career spanning set. As well as classics from Paul’s rich back catalogue, the bulk of the critically acclaimed performance features 11 songs from the gorgeous “True Meanings” - Paul’s roundly lauded, no. 2 album. The track-listing also includes several tracks from Paul’s days in The Jam, including a radical re-working of “Private Hell” from their 1979 LP “Setting Sons” and a brilliantly realised version of “Boy About Town”. The Style Council get a welcome look-in too with “Have You Ever Had It Blue” and “A Man Of Great Promise”. Other firm solo favourites such as “You Do Something To Me” and “Long Long Road” fit seamlessly into the set. The shows were a resounding success with meticulous arrangements and superb sound, with Paul’s voice sounding richer and more assured than ever. Along with Paul’s usual touring band, the show featured the London Metropolitan Orchestra and, on the sublime “Books”, Paul was joined on-stage by Lucy Rose and three incredible musicians: Sheema Mukherjee, Kamalbir Nandra and Tofail Ahmed playing Sitar, Tanpura and Indian Violin. Ably assisted by conductor/arranger Hannah Peel there was, at times, a total of 24 musicians onstage.